Warm calling means you're calling a prospect with whom you've had some prior contact. The stronger the connection between yourself and the prospect, the warmer the call is. For example, if you meet a prospect at an and he asks you to give him a call so that you can set up an appointment, that would be an extremely warm call. On the other hand, if you send a letter or an email to a prospect and then follow up with a phone call, that would be more of a lukewarm call. A prospect who's been to you can also qualify as a warm call, even though you haven't directly been in contact with that prospect. The fact that the referrer is recommending you to the prospect creates an indirect connection between you and the prospect. The prospect may not know you, but he knows the person who referred you to him, so the referrer acts as a kind of bridge. The third type of warm call occurs when a prospect has reached out to you for more information. For example, a prospect might fill out a form on your website requesting a callback or call a general number in response to a TV commercial. These prospects are usually intrigued enough to go to the effort of reaching out to you, but they don't actually know anything about you personally. These warm leads are certainly easier to work with than cold leads, but will still need some on your part. Truly warm calls are much easier to convert to appointments than . Your previous contact or connection with the prospect means that you already have a bit of trust between you. As a result, the prospect will be more willing to invest some time in hearing what you have to say. 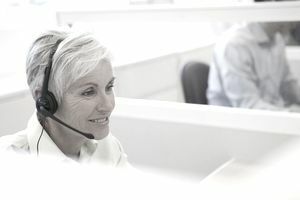 Many salespeople make it a goal to do only warm calling, since not only are warm calls more productive, they're also less likely to result in rejection, which makes them far more pleasant from the salesperson's point of view.